The fall training schedule for Mass construction supervisor license renewals and fall protection is coming together. We are offering a variety of business related subjects that include CEU's to help you succeed in the changed economy. We are finding that many contractors are close to letting their license lapse and calling at the last minute to obtain the required CEU's. We will have numerous classes available for those who are the last minute type. Continuing Education Training in Mass for Contractor Supervisors that focuses on education to help you succeed in your business. The winter contractor continuing education training season is underway. 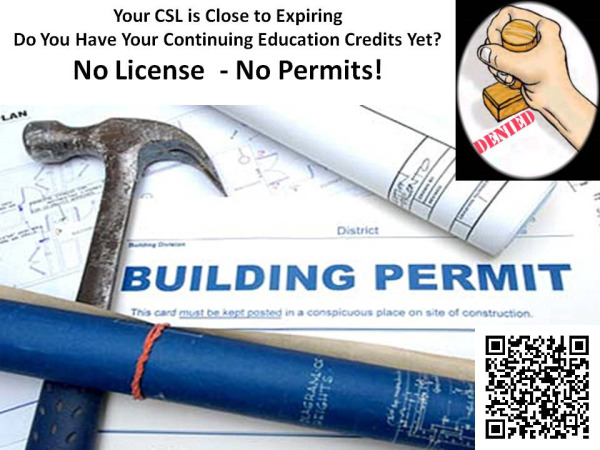 There are now many options available for contractors to get CEU's in Massachusetts. The question is who do you choose? Do you choose someone who is just selling CEU's and running through the slides as fast as they can?